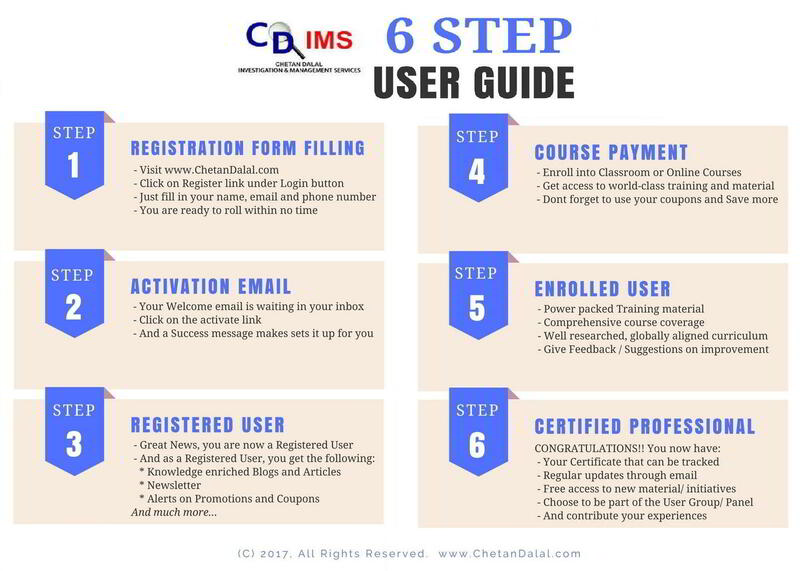 CDIMS offers a variety of services. We use our innovative thinking and expertise in forensic accounting to offer our clients the best service. We provide support in probing financial crimes where litigation and disputes in court are entailed. Our faculty are experienced investigators equipped with research and developed tools for penetrative investigation and evidence collection. CDIMS investigations of any kind of business fraud including whistle blowers allegations, harassment of women at workplace, corrupt practices etc. Statutory Investigations where a post facto investigation takes place to identify forensic evidence that can be used in the court of law to identify culpability and cause of the fraud. Corporate investigations where a company has invested in a subsidiary and has reason to believe malpractice in that subsidiary. Insurance investigations where insurers or re-insurers require evidence regarding suspicious claims. Whistle blower complaints, where a thorough investigation is conducted on receipt of whistle blower complaint against malpractices of an employee or a vendor. Open source intelligence for suspects, these are checks available in the public domain for suspects. These are done generally in tandem with whistle blower investigations. Services to address special or unforeseen situations where upfront investigation is not advisable. Investigative audits named as special or internal audits can also be performed by competent and qualified teams where objectives of both investigation and audit are achieved. Financial statement frauds, cases where suspects intentionally manipulate items in the financial statements to give an incorrect picture to business owners. Vendor related frauds, cases of fictitious vendors where suspects use fraudulent credentials to create vendors and raise invoices. Employee frauds, Internal or employee frauds are when fraud is committed against the company or organisation a person is working for. Internal frauds can include payment fraud, procurement fraud, travel and subsistence fraud. Management Frauds, may involve falsifying financial information, such as transactions, trades and accounting entries in order to benefit the perpetrator of the crime. Insider trading, bribes, back dating of stock options and misuse of company property for personal gain are also fraudulent. Corporate Espionage, is the covert and sometimes illegal practice of investigating competitors to gain a business advantage. The target of investigation might be a trade secret such as a proprietary product specification or formula, or information about business plans. Corporate investigations includes capital expenditure review to check for overstatement of assets and compliance with contracts. Expense verificationincludes reviews to check for overstatement or fictitious expenditure used to siphon out money or understate revenue. Detailed analysis of physical invoices to test their authenticity and correctness. Detailed review of soft data related to accounting and operations to test for any malpractice or suppression. Forensic study of email boxes, to understand email culture and check for transfer of information critical to an organization. Expertise in ferreting out latent fraud and pitfalls in processes and control environment. Services facilitating increased risk awareness and setting up better defence mechanism. Evaluating strengths and weaknesses of internal controls. This would mainly include testing the accounting system and how it communicates with the operations team and lag or discrepancies thereon. Testing the system through covert and overt techniques such as posing as clients or customers. Email review analysis where it is tested whether confidential information is being exchanged for incorrect reasons.